If you’re like me, where you’ve been either blessed or cursed (depends on how you look at it) with brown eyes, you feel like it’s almost IMPOSSIBLE to make your eyes stand out! Blue, grey, green, and hazel eyes have it easy, they’re already unique! So, my brown eyed goddesses, what are we going to do? We’re going to play around a little bit with some makeup tips! 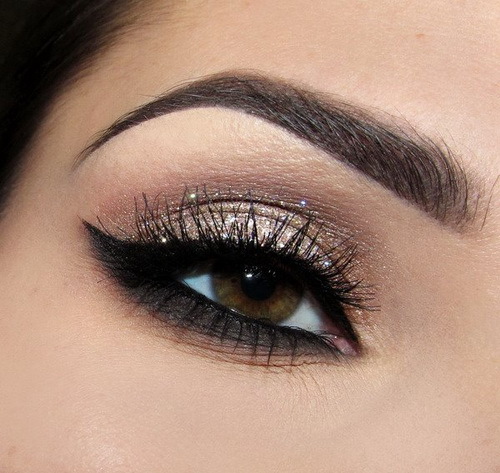 Check out this top three list of Makeup For Brown Eyes. I remember one day while I was getting ready to go to an event that required me to where blue, I wanted to go all out! But I remember telling my mom, I wish I could wear blue eyeliner and pull it off, it’s really only meant for people with blue eyes. She said, ‘Are you crazy? Blue eyeliner tends to wash out blue eyes, put it on.’ So I put on my blue eyeliner, used some deep blue eye shadow, took a thin brush to put a gorgeous line of blue on the bottom of my eyelid, towards my lashes, and guess what? My eyes looked incredible! The major trick to this is to use some different colored eyeliners that aren’t just black or brown. For example; blue, grey, very light brown, green, hell even purple is worth a shot. 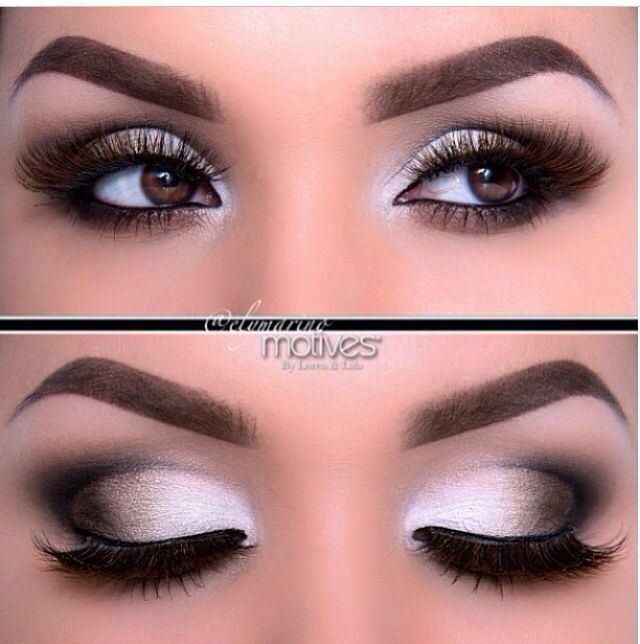 This look looks great on every eye imaginable, it doesn’t matter what eye color or eye shape you have. It looks adorable! Now what I use to pull off this look varies with my mood! I could use either an eyeliner pencil, eye shadow, or the ever popular liquid eyeliner! 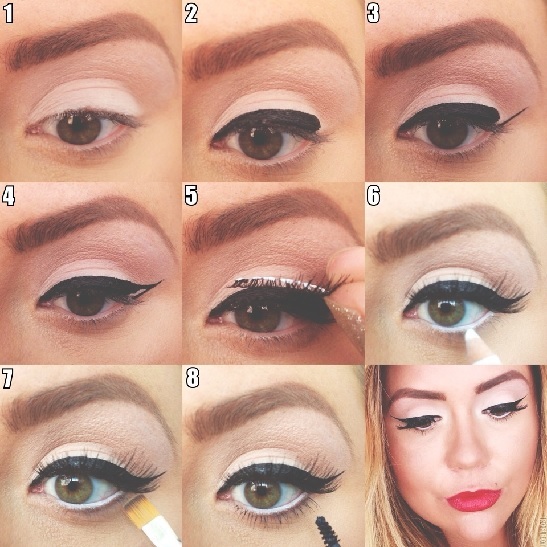 Check out this picture tutorial on how to pull of your cat eye! A smokey eye with just black and grey eyeshadows? BORING! What you need is a look that pops out at you! Some great colors for this look are deep pinks, light colored browns that almost like a gold-ish color, vibrant blues, purples, and so many more! 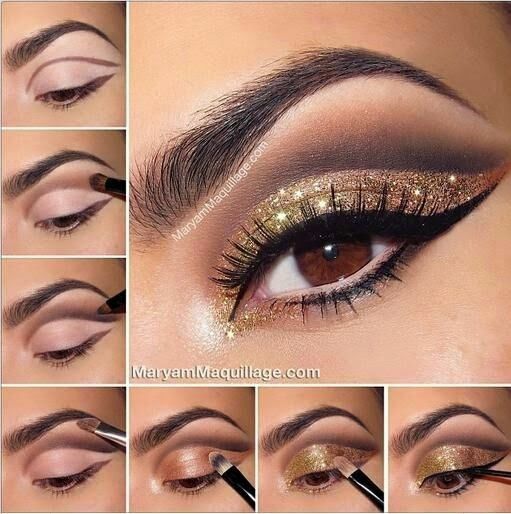 This look combined with a cat eye is a sure fire way to make your eyes POP! So, the next time my brown eyed beauties, that you are hating your eye color, do what we know how to do best, play with makeup! We have so many more options to chose from to enhance our eye colors that we always forget about, so don’t stress, just enhance! Are you wanting to try some of these looks? Any looks I’ve forgotten about? Leave a comment below and let me know your thoughts! Missing out The Young Shopaholic? Subscribe to our website and receive an email every time The Young Shopaholic posts a new article or updates the site! Also, give us a like on Facebook and checkout funny memes, articles, videos, and more! I just added a new feature to the site so once you type in the site theyoungshopaholic.com, after a few seconds a subscribe button will appear. There is also a subscription option to the right of the website on the homepage!